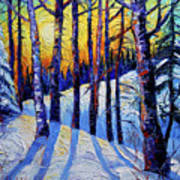 Hi Mona~~an extremely beautiful piece of palette knife fine art- outstanding!! F&L&G+!! Such a stunning winter scene. The perfect touch of warm and cold. congrats on your 3rd place finish in the winter contest! Stunning painting of a beautiful winter landscape, Mona. Congratulations! 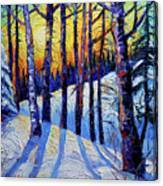 This piece is being featured in the Special Featured Artists of the Week Section of the Winter Wonderland Homepage. Thank you for sharing your amazing artwork with our Group. F/L. "Winter Woodland Sunset" by Mona Edulesco. Original Palette Knife oil painting on canvas / 50 x 60 x 4 cm (20 x 24 x 1.5 inches) / october 2016. 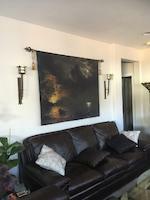 Sold to an art collector from England. 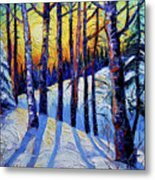 Contemporary impressionist landscape oil painting who captures the mysterious light of a winter sunset... 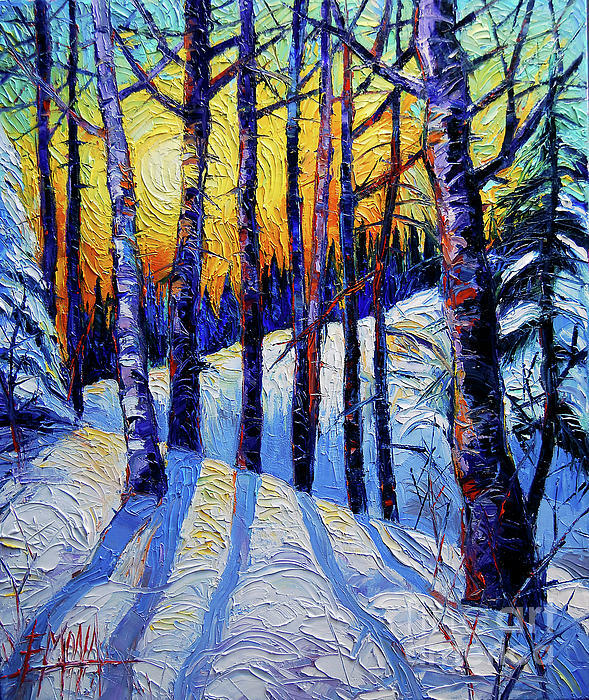 This painting was realized in the impasto technique, with thick oil paint applied with a diversity of palette knives. It was created on canvas, with the edges of the stretched canvas painted. The painting arrives ready to hang, with framing optional.